Malta tour by night is another opportunity to see Malta during the evening life style. 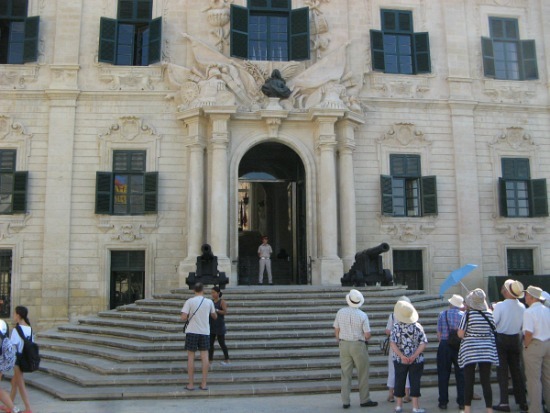 The Maltasightseeing hop on hop off offers a practical tour service linking all the popular spots. The Malta by night leaves from Bugibba and returns to Bugibba. A short list of the itinerary is here for your convenience. At Paceville you find clubs and disco clubs, restaurants, bars, games rooms and hotels. It is the place where mainly youths and also grownups meet up to enjoy an evening out. Various streets in Paceville are a traffic free-zone. The number of hotels, restaurants, bars and shops have made this area popular from morning to late at night especially the seafront area. Many locals and also tourists take walks along the promenade. One can stop to either eat or have a drink at one of the restaurants located on the way. 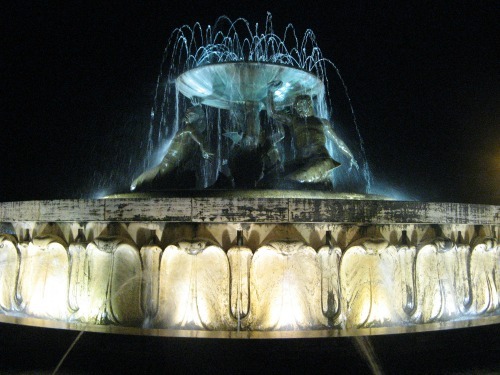 Malta tour by night offers you the opportunity to stop at various locations along the tour. 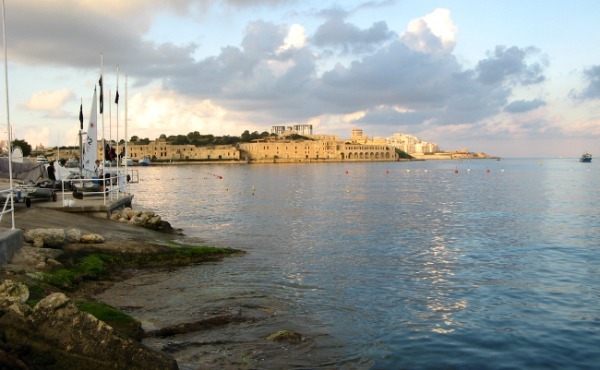 The Ta’ Xbiex area waterfront is a pleasant drive with wonderful views of the harbour and Valletta and the yacht marina. The Msida and yacht Marina creek where boats and yachts are berthed. It is the area where people walk along the promenades and various restaurants full of patrons. The Grand Harbour Valletta side and Marsamxett Harbour on the Gzira Sliema side, offer a formidable drive around observing the evening life. Various fortifications are lit up around the harbours to give that spectacular effect when one is driving along or walking. In the evening Valletta is much quieter than during the day. It is worth a visit at night too. Walking through the silent streets gives that effect of the city at night. During the day it is a totally different feeling. 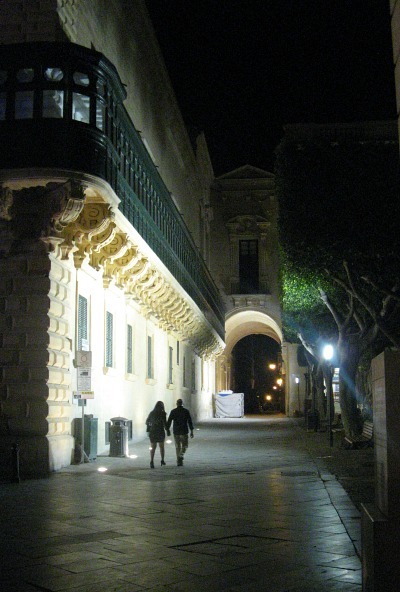 There are lots of wine bars and restaurants to be visited within the old buildings of Valletta. One can also enjoy seeing the bastions lit up along the shoreline. The Mediterranean Conference Centre is located at the far end of Valletta beside the edge of the bastions. From here you can see a formidable view of the Grand Harbour and the break water. The perfect place to take photos during your Malta tour by night. Fort St. Elmo is located at the tip of the Valletta peninsula, adjacent to the Mediterranean Conference Centre. Here you find the War Museum and the George Cross medal which was given to the Maltese people by King George VI in 1942 as a symbol of their bravery during World War II. It is worth paying a visit during normal opening hours. Auberge de Castille is the most beautiful auberge in Valletta with a baroque style architecture. Today it is the Office of the Prime Minister of Malta. Arriving at the aqueduct after passing from Hamrun and St. Venera. The aqueducts are a limestone construction originally built to carry fresh water from the Rabat area to Valletta due to the scarcity of water in the area. It was built in 1610 by Grandmaster de Wignacourt. You can notice them along the main road driving to and from to Rabat and Birkirkara. Located in this old medieval village of Qormi, rich in old culture, 'Ir-Razzett l-Antik' (The old farmhouse) is more than 400 year old and was originally used as a milling factory. Now it has been transformed into a restaurant and venue location offering authentic Maltese food specialities. During the tour a stop of 60 minutes is dedicated to those who wish to eat Antipasti Platters with a taste of Good Maltese food. Rabat & Mdina are worth viewing. Archaeological findings and historial records shows that there had been early settlement of people on the high grounds of Rabat and Mdina. You also find catacombs, cart ruts and artefacts which indicate the fact people had lived there. Both Mdina and Rabat are one of the main attractions to visit especially Mdina with its main attractions and old medieval streets. A stop for 1 hour 15 minutes. In the evening it is a marvel and beauty to seeing the Mosta church lit up. Around the church area there are bars and restaurants open for patrons. 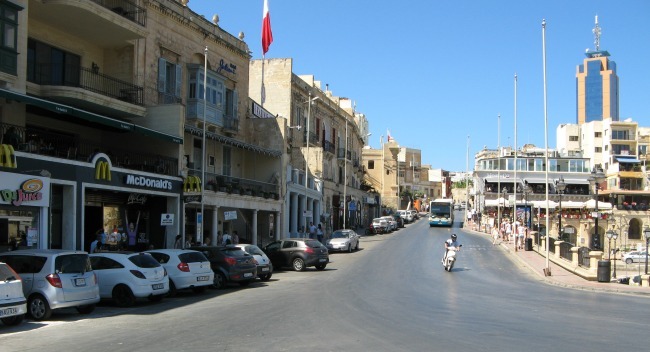 The road adjacent to the church is the main road connecting the Birkirkara area to the north, Bugibba and Mellieha. Passing through Naxxar, a quiet village with many old characteristic. It has been a parish since the early 15th century. Today, Naxxar is thriving town of over eleven thousand. A small village that forms part of the three villages of Malta, along with Attard and Balzan. 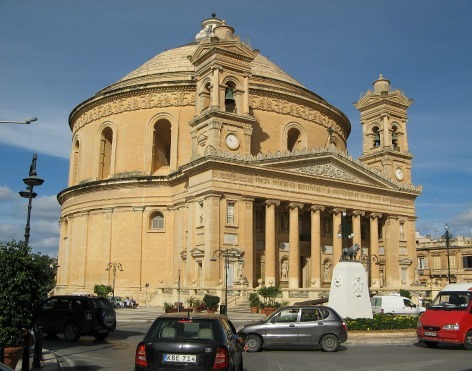 Lija has a baroque parish church, many old villas dating back to hundred of years with beautiful gardens. You will be shown the unique Belveder tower lying at the entrance of Lija in front of the parish church. It operates from Monday to Thursday. The tour takes four hours, and the bus stays with the clients all the time. Audio commentary in sixteen languages. Free pick-up from various location. Check the brochure for further details. Free Latini ‘Two harbour Cruise’ with any bus tour. Malta tour by night is another way how to see Malta at night time.